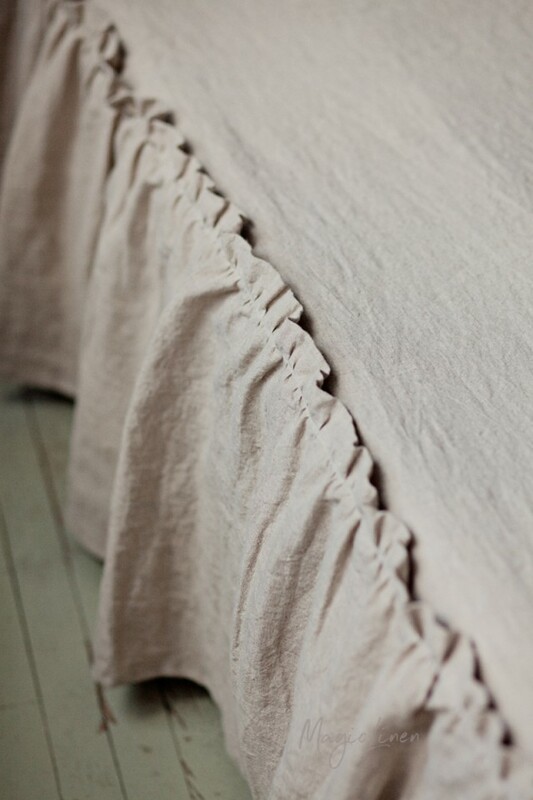 Linen bed skirt with ruffle trim available in all MagicLinen home textiles colors. 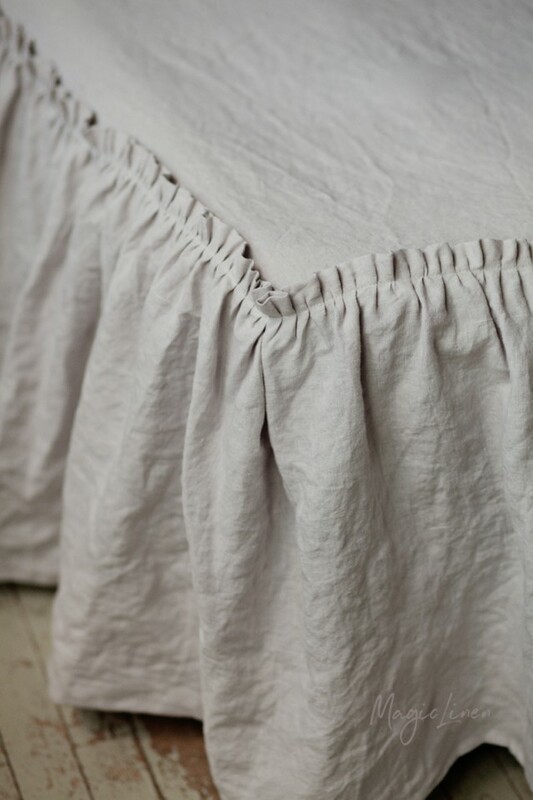 Finish your bedding set with this elegant bed skirt that also subtly covers the box spring and under-the-bed storage. Stone washed for maximum softness and an easy draping look. Please note that stripes can go horizontally or vertically depending on the size of the product. If you have a preference regarding the direction of the stripes, please drop us a line before ordering. 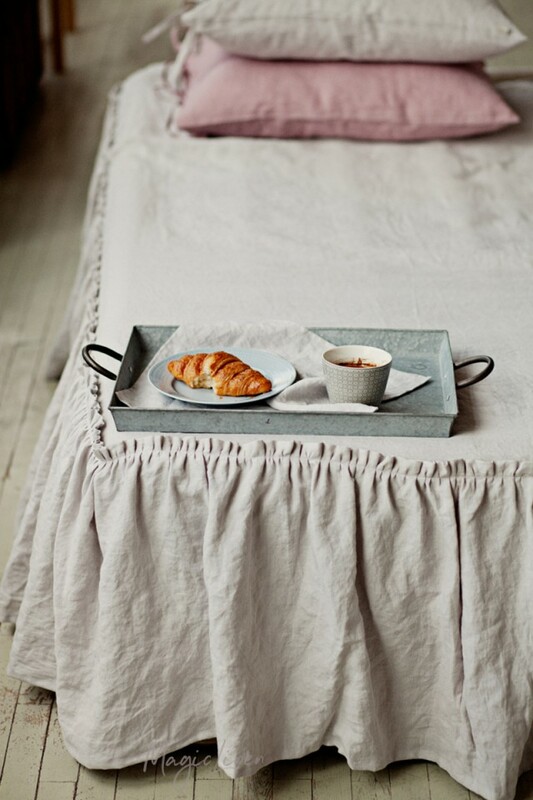 Note: the regular bed skirt has a drop of 19"/48 cm and covers three sides of the bed. 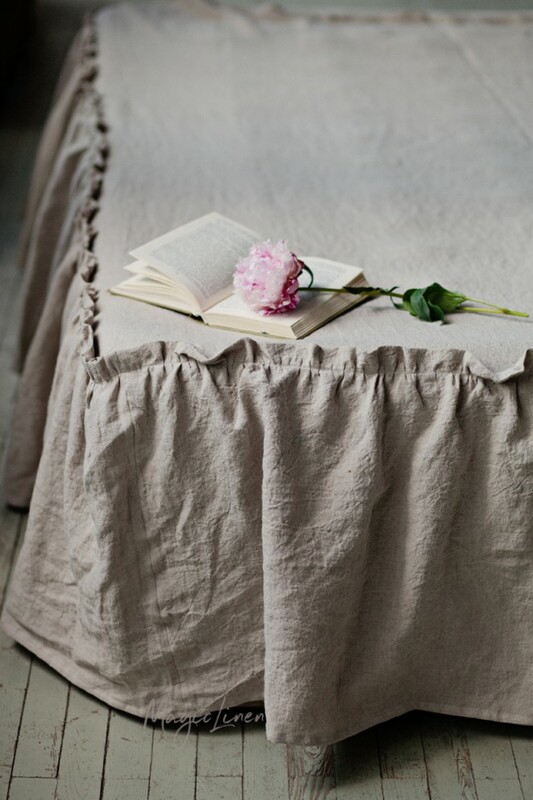 If you need a different drop size, a two-sided or a four-sided bed skirt, please contact us. We recommend measuring the depth of your mattress before ordering to have a perfect fit. Machine washable. 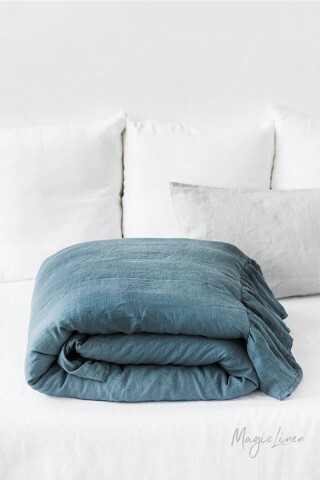 Read our Linen Care Guide to learn more. When measuring for a bed skirt, it is important to decide on the drop, aka the vertical distance from the top of the box spring to the floor. Read our blog post for more information.